What was once a mundane function is becoming an increasingly versatile piece of the enterprise imaging puzzle, because emerging vendor neutral archives (VNAs) have the ability to store, manage, and share images—as well as perform image lifecycle management. As health care organizations seek ways to make medical images accessible throughout their enterprises, many are looking at their archives as a starting point. Health system consolidation combined with rising demand for imaging is making an effective archiving strategy essential. Cristine Kao, global marketing director of health care information solutions for Carestream Health, says there are two main drivers behind archiving’s higher profile. The first is cost containment. Storage, software, and hardware are often the largest cost components associated with archiving. Many imaging departments have more than one archive, such as radiology with general radiology, nuclear medicine, and ultrasound. There are also plenty of images outside radiology that need to be managed. Replacing systems in piecemeal fashion can significantly increase the cost of replacement, maintenance, and future upgrades. The second driver is clinical care. 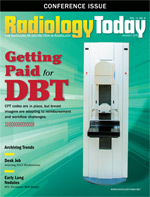 Demand for medical imaging extends throughout the organization, and physicians want the images sooner rather than later. Meaningful use and value-based care initiatives call for easier access to images, and hunting for them in various silos isn’t efficient. These factors have led many organizations to look at unified archive solutions. To meet their enterprise needs, many organizations are adopting VNAs. VNA can mean different things to different people, however. Generally, a true VNA is considered to be an archive that stores images and documents in a standard format in a way that allows facilities to exchange the study data that’s being managed among disparate systems. The VNA is a consolidated source of normalized image data that can be accessed with a universal viewer. To better manage image data, Michael J. Gray, the principal owner of Gray Consulting, advocates a new type departmental PACS configuration known as PACS 3.0, which uses a workflow application to connect interpreting physicians to the most appropriate diagnostic display application, among several, that may be interfaced to the VNA. A unified workflow application also allows specialized diagnostic display applications to be changed easily. When workflow is tied to the display application, as it has been with PACS 2.0 configurations, getting a new display application means getting an entirely new PACS system. By separating the workflow and display functions, Gray says any number of specialty diagnostic display applications can be used for roughly the same cost as a single display application that does an average job across a broad range of features and functions. In PACS 3.0, the VNA is frequently tasked with performing the image acquisition function. Gray believes the VNA is better equipped to capture images because can tag map the image headers and perform a lossless compression to perfectly match the new images to the most appropriate display application, which will be launched when the interpreting physician selects the study from the worklist. The VNA and the enterprise workflow applications work together to ensure that prior images will be available to the most appropriate display application, when needed, reducing the need for a large memory cache on the various display applications. He adds that interfacing multiple departmental PACS systems to electronic medical record (EMR) systems, which is where most clinicians outside of radiology access medical images, is far less efficient than interfacing a single universal display application to the EMR. Another type of VNA configuration is the independent clinical archive (ICA). Rather than replacing large portions of the PACS or replicating PACS functionality, the ICA exists as a completely separate entity. It collects data in their native format, protects and stores them, and publishes them in Cross-Enterprise Document Sharing (XDS) format so they can be accessed via a universal viewer. To make this configuration work, it must be capable of using all of the existing standards for medical data capture, such as DICOM, HL7, and XDS, says Tim Kaschinske, a consultant for health care solutions at BridgeHead Software. This removes the burden of data migration when other technologies are updated. Whichever configuration is chosen, there’s no question that many organizations are finding multiple uses for VNAs. When the University of Pennsylvania Health System (UPHS) decided to upgrade its archive, consolidating medical image storage was its primary concern. Like many large health systems, UPHS has several departmental PACS in various locations. To meet the upgrade demands of those PACS, each user group was simply adding disk space as needed, which was becoming unwieldy, says Jim Beinlich, the associate CIO of entity services with Penn Medicine—UPHS. UPHS chose Mach7 Technologies’ clinical viewer and workflow engine and EMC2’s Isilon storage for its VNA. The workflow engine connects interpreting physicians to the most appropriate imaging display, whether it be for X-ray, nuclear medicine, cardiology, endoscopy, or any other modality. It also image-enables the EMR via a universal viewer and includes a universal patient and physician portal for sharing data. Although there is expected to be an adjustment period when the VNA comes online, many users are beginning to think about its potential. At UPHS, the organizational thinking about the VNA is expanding. Now that the medical imaging component has been addressed, there have been discussions about storing additional data, such as reports or scanned insurance cards. Images that are saved in non-DICOM formats, such as JPEG files obtained on mobile devices, present a significant challenge, however. Beinlich says people are still trying to figure out how to make non-DICOM images accessible across the enterprise. Gray believes that these types of images may one day be just as important to the enterprise as the DICOM images. In order for the VNA to store them effectively, the imaging study comprised entirely of non-DICOM image objects needs a patient identifier, a study identifier, and an agreed upon study descriptor from a standard list, such as RSNA’s RadLex. While many VNAs depend on DICOM wrappers or tags, which can be added automatically or manually, to manage, store, and exchange non-DICOM images, Gray says the industry is moving toward the use of XDS-1.b to manage and exchange non-DICOM objects. Taking on a project of this nature requires a great deal of planning. Switching to VNA raises a fundamental question: What types of data need to be managed? Determining where images will reside and how they should be stored takes time and forethought. There are also decisions to be made about onsite vs offsite storage and media types. Most large health care organizations in the United States store data onsite with offsite backups. Kao says countries in Europe are more likely to use cloud-based solutions for a lower total cost of ownership. She adds that network infrastructure and performance outside the facility are significant determinants. Gray says cloud storage is more expensive than onsite storage and the retrieval times for large studies are not up to clinical speeds, but he thinks organizations that don’t currently have a second data center may increasingly look at cloud options for backup purposes. Beinlich expects UPHS’ VNA to make data backups more reliable. When management surveyed users, UPHS found a lot of inconsistency in the way departments were backing up. Most were using disks, but some were using tape. One benefit of a universal archive is that it can aggregate data from different media. Many health care organizations have switched to disk for backup, but Kaschinske says there are still a fair number of large and small organizations that use tape for disaster recovery. Although he doesn’t recommend it for primary or secondary storage, he says tape is still a good option for disaster recovery because it’s faster to stream tape than it is to recover data from a redundant array of independent disks (RAID) server. In addition to obtaining the archive, Gray says it’s essential to address workflow and image-enable the EMR. He recommends that health care organizations take their time and develop a comprehensive plan; they can’t do everything at once, and without a plan, they may not get the results they’re hoping for.